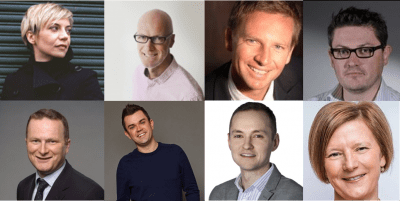 Digital Radio UK is delighted to confirm the speakers for Driving to a Digital Future: Commercial Broadcasters and the Supply Chain - an unmissable session and conference highlight at Drive to Digital 2018 sponsored by Arqiva, which takes place on 25 September at The British Museum Conference Centre. The session is chaired by the writer, broadcaster and Observer radio critic, Miranda Sawyer, and in the session delegates will hear from leading broadcast and supply chain executives on their views and plans for the future of digital radio and what they hope for from the Government review. Confirmed broadcast speakers include: Will Harding, Chief Strategy Officer, Global; Paul Sylvester, Content Director Absolute Radio; and Jimmy Buckland, Strategy Director, Wireless. Confirmed supply chain speakers include: Paul Hide, Director, techUK; Robert Haycock, Chief Commercial Officer, Pure; and Peter Lawton, Senior Section Manager, SMMT. We are also pleased to announce that Helen Boaden, former Director of BBC Radio, will provide a personal retrospective on her time in radio. They join confirmed speakers Bob Shennan, BBC Director of Radio & Music; Digital Minister of State, Margot James MP (via video); and Ian O’Neill OBE, Head of Radio at the Department of Culture, Media and Sport who will be talking about the future of digital radio in the UK. When: Tuesday 25 September 2018, from 12.30pm. Conference 1.15pm - 5pm. Drinks Reception from 5pm.